Once I get an idea in my head, it’s going to happen. Good or bad, I’m going to do it. This last idea started last Wednesday. I saw. I imagined. I fixated. And when the opportunity presented itself today, I partook. 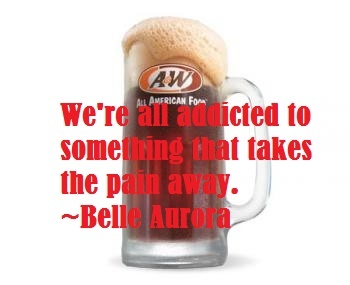 A&W root beer. An entire gallon. Poured into frosty mugs I’ve kept in the fridge since last Wednesday after I stared too long at a marquee. It was good. It is gone. Yes I shared. A little. But I indulged plenty. I’m feeling pretty good about it too.